In the past couple of months we here at Desigmodo did a lot of improvements to our flat user interface package, which you can find here, but it seems we are not the only ones focusing on it. Very hot news come from Apple, where it seems Head of Design and Human Interface Manager Jony Ive, Steve Jobs’ right hand when he was still alive, worked in the past months on the new interface of Apple, which will probably be featured in iOS 7, according to the Wall Street Journal. There was a clear need of something fresh in the mobile interface of Apple’s devices and it seems the future focus will be Flat UI. There are yet minimal details about Ive’s final decision on the next iOS interface, but it seems he pushes for a more “flat” design. While Apple has always been an innovator, it seems this time they will act as a follower, because Microsoft and more recently Google already moved towards flat designs. It seems though changes will be conservative and iOS 7 will not come with a whole new interface. In a way, this seems normal, as current iOS users shouldn’t be alienated – the current interface was featured in iOS devices in the past six years and making heavy changes suddenly might not be such a good idea. It seems that changes are happening at Apple and that Tim Cook, who took over Steve Jobs more than one-and-a-half years ago, is finally able to bring the company on the path that he imagined for a long time. It all started with him pushing Scott Forstall out of Apple and giving Ive more responsibilities. And to be honest with you, I personally would never bet against Ive, and I have heard several gurus in the industry predicting a great future to the already-huge design expert. Another interesting change is that recently both the Mac OS and iOS software teams are under the same Craig Federighi and although they are still working separately for now, this might not be the case in a few years or even months. With iOS seeming to move towards a Flat user interface, it is possible we will also experience the same trend in Apple’s operating system for computers. Changes are very unlikely to come in the short-term, so Mountain Lion users can still enjoy their current interface, but you never know what the next release can bring. It seems the newest update of Apple’s Podcasts application backs up our theory. Apple’s design team decided to remove all skeumorphic elements and just go for a simpler, plain design. It might actually be a step in the right direction from Apple. If they know they want iOS 7 to be “flat”, then now it would be the time to go to the drawing board and start redesigning their apps – and this is exactly what Apple has been working on lately, according to several reports. 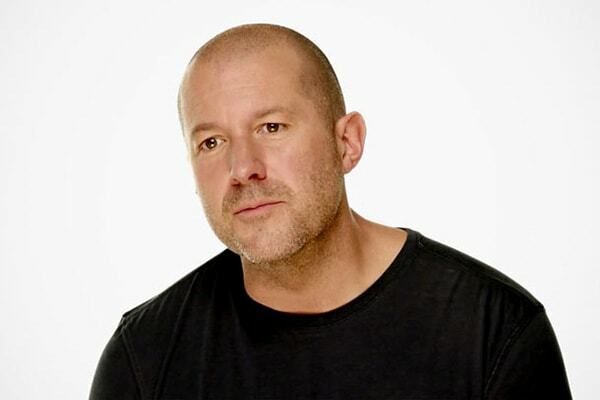 Moreover, Apple released recently several updates to their lockscreen, music player and music playback controls and all of them lead us to the same person: Jony Ive. All these small modifications and updates could be clues on where Apple is heading with its future interface. Here at Designmodo we believe it was time for something fresh in Apple’s interfaces. And we also believe Flat UI is the future of interface design, therefore we jumped right at the occasion and developed our Flat UI pack, called Square UI, which is completely free and you are able to enjoy using it right away. We believe that Flat is the way to go and will do our best to continue developing these interface packs for you. 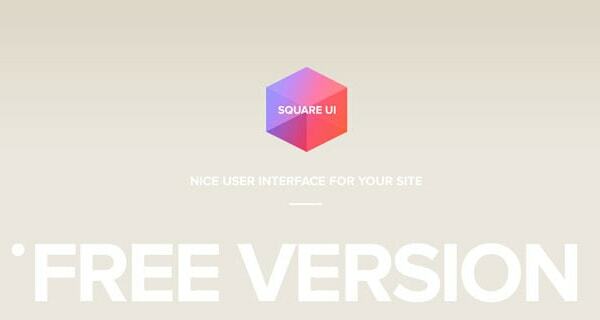 You can also use our PSD&HTML Flat UI pack which is also out there for free. They are easy to use, spare a lot of your time, allow you to prototype faster and its components fit together very well. Designmodo became a trendsetter in the past years and we will continuously grow. We believe this flat interface is the future for both web and mobile and we hope to be able to convince you too (if we didn’t manage to do it yet), that this is the case. I don’t think Apple lovers will take it positively. I don’t think Apple lovers care about Skeu or Flat UI design. At all. I kind of have to agree with Nicolas on this one. As long as the interface they use is smooth and has a general “good feeling” to it, then they would probably not mind. I’d mind. I hate skeu. Well I would not mind that much. But since Apple is not willing to be open to personalized UI, some will have to deal with their decisions. But I wish I could have more freedom and possibilities to customize my iPhone. They’re moving into a “more” flat design. It doesn’t mean the “flat UI” concept that emerged a few months ago and that you’ve been promoting as a dogma. I mean, even in your flat UI kit you say “Better to use different shades of provided colors than new.” (http://designmodo.github.com/Flat-UI/). So for you flat design is a trend, a dogma. We shouldn’t get off that colour scheme, so every website and every interface would look the same until we get tired of “Flat UI” and find an equally useless replacement to avoid facing a professional approach to UI design. Dropping truth bombs all over the place! And as all flat design fanboy, it seems that you are not able to read correctly. Ives it not pushing Flat design, he is pushing a more “flat design”. Which is not the same at all… He is not going the opposite, he’s going more subtle. Great article Christian and thanks for the info. I do however agree with Nicolas. I think Apple are way too big of a company, and possibly way too innovative to simply adhere to the latest design fads cropping up on Dribbble, that may not even be so relevant in say a years time. I think the decision to head towards a ‘more’ flat design is a good one. The debate between Skeu and Flat is tedious as hell, but clearly the overall debate of simply ‘what looks good’ will always be relevant, and I feel many of the elements of iOS’s current UI are just too busy, so making them ‘flatter’ (not entirely flat) is very welcome from my point of view. Change is good after all this and I’m sure Jony Ive’s working on some awesome UI designs. I agree with you . Don’t think Apple is numb company . They even take control the market later then Microsoft . But now they are king . Let me ask you guys WHY ? Apple has some potential and projects itself. I believe you guys innovations and inventions. “We believe this flat interface is the future for both web and mobile and we hope to be able to convince you too.” As in religion. When I was of 19, first time i used iPod Nano, it’s really inspired and surprised me.It turned me into apple’s fan boy. Whenever apple released something, it surprised us by array of innovations they evolve and they set new trend in tech ecosystem. I always believe in Apples DNA of innovation and liberal arts, so they follow something or not it doesn’t matter at all, but they come up with new product and make us just way “wow! nothing like apple” that definitely matters.